Here’s a summary of the last nine days or so’s activities. A lot of time has been spent recently in preparing for my talk ‘What came first, the Archaeopteryx or the egg?’ which was a look at bird evolution and how birds got to be where they are today. I gave the talk to the Dorset Bird Club AGM of the 28th of March and it was well received. I will be giving the talk again next week to another organisation and hope to report on it here after that. The following day Ewan and I visted Portland. There were a few early migrants like Wheatears and Chiffchaffs but the general feeling was that the spring migration hadn’t really got underway yet. We had distant views of the regular Iceland Gull but the best bird was a winter adult Little Gull that showed well at Ferrybridge. On the Saturday evening we went along to a social do in Ferndown organised by a local South African group. We shared an excellent selection of home cooked food and ended up playing Scrabble all evening – doesn’t sound too exciting, but was good fun. Since Margaret and I have been together over the past seven years, I have of course, met many South Africans and contra to the Spitting Image sketch, most have been very nice indeed! However I do get irritated when a small minority (and I emphasise it is a small minority) pigeonhole you and lecture about how much better things were when the white man was in charge. Fortunately for almost all, apartheid ended twenty years ago, its time for them to get over it and move on! Continuing the South African theme, Janis, Amber, Kara, John and Anita came over to our place for Mother’s Day. Janis (L) and Anita (R) cooked us an excellent meal …. I nearly missed the last Wetland Bird Survey (Webs) of this winter period on later that day, but fortunately one of the counters put out news of a Red-breasted Goose from his count area and I realised I should have already been at Holes Bay! I was in luck as it was such a low tide that the waders and wildfowl were still present in spite of the fact I was 30 minutes late, but by this time of the year most birds have moved north to their breeding grounds and I only saw small numbers. On the 31st a few of us had a ringing session at Fleets Lane. A few newly arrived Blackcaps were the highlight. On a previous session on the 25th we retrapped this Chiffchaff, I have since found that it was ringed at the same site on 19th April 2013, so it is either a local breeder returning to area (although we haven’t trapped it in between) or a migrant pausing on migration at Fleets Lane in consecutive years. Also interesting is its very dull colour , quite like a Siberian Chiffchaff but lacking the green cast to the primary fringes. Although I was out early ringing with the others on the 31st my mind was really on a rare duck in Cambridgeshire. Not wishing to spoil the Mother’s Day celebrations the day before I had delayed the twitch until the Monday. With confirmation that it was still there coming about 0900 ,I left after the ringing session for the long drive to Fen Drayton just NW of Cambridge. 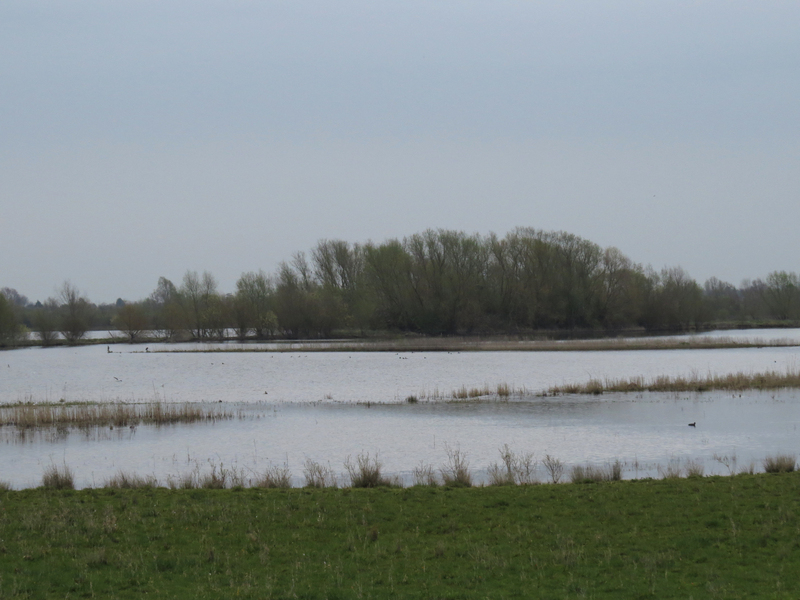 Fen Drayton is an excellent wetland reserve but one I had never visited it before. 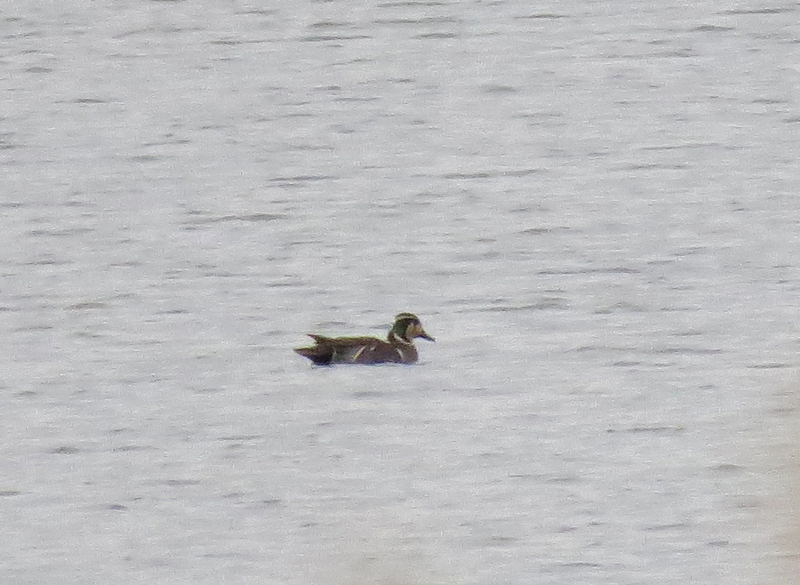 Neither had I seen it’s star attraction, a Baikal Teal before (at least in the UK). A rare vagrant from north-east Siberia, it had probably wintered to the south after westward vagrancy last autumn and was now heading back towards the breeding grounds. There were those who were dismissing this bird as an escape from captivity, so it was satisfying that a few days later it was rediscovered at the Ouse Washes to the north before disappearing completely – it was clearly on its way to Siberia! It was a long seven-hour drive to Cambridgeshire and back in the same day, but well worth it. Much of the week has been spent catching up on editing photos, making notes on previous foreign trips and preparing for future ones, but Margaret and I spent a couple of hours at Swineham near Wareham on the 4th seeing a drake Scaup and other wildfowl, a few Sand Martins and both Hen and Marsh Harrier. Note the cloud of midges in the top left of the photo, summer is on its way! In spite of the midges,we stayed until sunset. Originally permission was given for gravel extraction at Swineham on the condition that the site went into conservation management once work was complete. However it went into private ownership and access has been severely curtailed, with willows deliberately planted to prevent viewing of the pits from the public footpath. The conservation organisations should have got in there first, it would make a first class reserve both birders and for educating the public about conservation. This is in stark contrast to the site I was to visit the following day. Unlike the sunny evening yesterday, the 5th April was foggy with intermittent drizzle. Five Stour Ringing Group members went to Seaton on the Axe Estuary in East Devon for a ringing conference. After the conference we were given a guided tour of the nearby reserve. Here a dedicated group of local conservationists and ringers along with a very switched on local council have turned a number of fields alongside the estuary into a purpose built reserve and education centre. We were amazed at the attention to detail and forethought and although we didn’t see too many birds in the awful conditions .we were delighted to have seen the place. I have been there before, if you want to see pictures under nice sunny condition then look for a blog entry in October 2012. Of course the reason for our going to Seaton as to attend the South-west ringers conference. Six talks were given during the day on Manx Shearwaters on Lundy, the Black-tailed Godwit colour ringing project, the Shelduck study on the Axe estuary, Pied Flycatchers on Dartmoor and the activities of the West Cornwall ringing group. One of the most entertaining talks was from Matt Prior (above) on how single-handedly he has managed to create a huge population of the threatened Tree Sparrow by a combination of a nest box scheme and feeding stations. Conferences like this give the opportunity to meet other ringers and exchange ideas as browsing the various stands and exhibits. After hearing from these six speakers what others had achieved in their spare time, our delegation felt like complete amateurs and on the way back there was much discussion what we could or should be doing back home in Dorset. 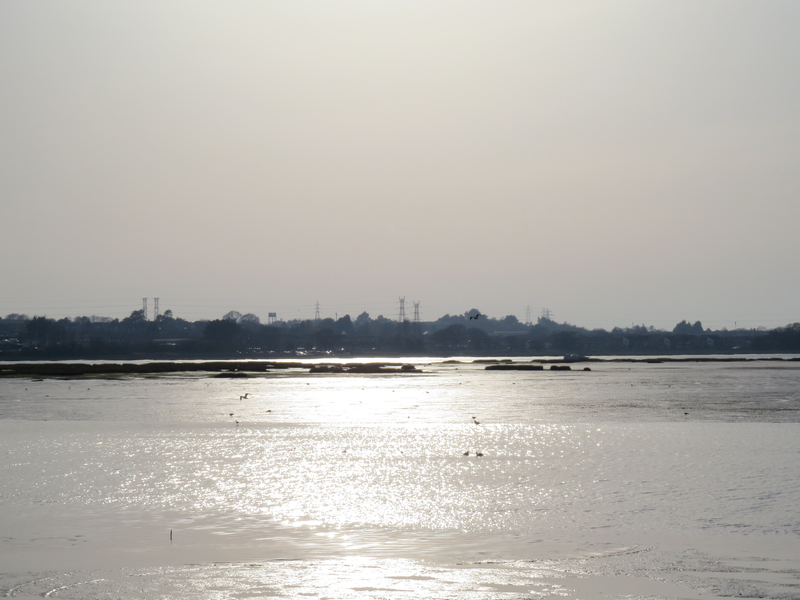 « 27th March – A conservationists nightmare? A Great Grey Shrike eating a Sand Lizard.